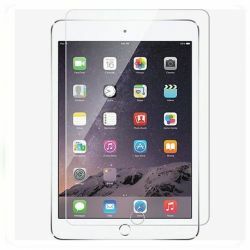 The Apple iPad Mini 4 was released in September 2015 alongside the release of the iPad Pro. It was released as slimmer version of its Mini predecessors and is available in grey, silver and gold, with 16GB, 64GB or 128GB storage options. The model numbers for reference are as follows A1538 (WiFi) A1550 (WiFi + Cellular). We carry out repairs for both public and business customers, serving the whole UK with the award-winning DPD courier service. We also serve our local customers who can visit us in our fully-kitted industrial unit based just outside of York city centre. We get many iPads from schools, academies and government authorities. Below we list the most common repairs that we carry out to the iPad Mini 4. We repair to the highest industry standards using the best quality parts. No job is too big or small and we also specialise in soldering services meaning that we can help where some other people can't. So whether the iPad Mini 4 screen is cracked or the charging port is damaged, you can be confident that our service is well placed to repair your device. iPad Mini 4 Repair There are 4 products.